As we approach midsummer, we’re looking forward to the wide collection of upcoming car shows that are now filling our diaries. CarFest North is the first to take place at Oulton Park in Cheshire on the weekend of 1st – 3rd August 2014. With cars from all over the world, this event is perfect for any car enthusiast. 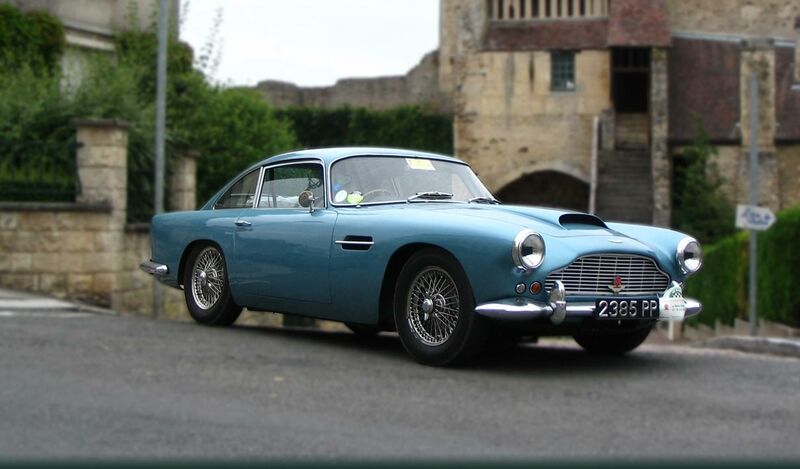 Down in the south, the Classic Motor Show in Hampshire will be taking place at Breamore House on 17th August 2014, and of course, The Revival and Goodwood in September. For more classic car events see our list at the end of the post. As any car enthusiast will know, it’s more than just about the car. You need to be able to keep your pride and joy in top condition. Adding a bespoke garage is the perfect addition to your home for your prized cars, whether you have just one or a whole fleet. Not only can your cars be protected from the sun, birds and tree sap, which can all damage your paint, it’s tucked away from any possible damage. It is also secure and out of sight, ideal for night. When building a garage, firstly consider whether you want it to be separate to your house, or if you would like to be able to access it from your existing property. Having an attached garage does have its advantages, especially in the cold, wet, winter months. However, it can sometimes limit the design and many do still prefer to have the garage as a separate unit. In time, garages have become even bigger and more impressive. Although many of us used to have only one car, it’s now a basic requirement for a house to have a double garage. Some properties even have garages for three or four cars. So, before making plans, consider how many bays you will need and make sure you take into account any additional cars you may have your eye on for the future. Consider whether you want your garage to be fully enclosed, open or a mixture of the two. Think about how secure your prized possession will be, and what other functions you may with some of the bays to perform such as storage, garden equipment or workshop. Plan what you will be using your garage for. Although the obvious use is to store your car inside, many people also use their garages for storage, or create an upstairs space as an additional room. Why not create an upstairs as an office, studio or perhaps a music or games room, separate from the house? It is important to design the building right to start with so that you can get any insulation, or other requirements right when it is built, rather than having to retrofit, which can be costly. This can include insulation in the floor. Make sure you consider the existing appearance of your house and decide whether you want your garage to match or contrast this style. Whilst oak frames usually work well with most houses, your style of roof tile can make a big difference. Understand your budget before you start planning and building your brand new garage. If you would like to find out more about our bespoke garages, download our brochure and get in touch on 01444 455 455. Plus, let us know what your dream garage would look like or if you are heading along to any of the car shows this summer. Tweet us @Oakmasters or leave a message on our Facebook Page.